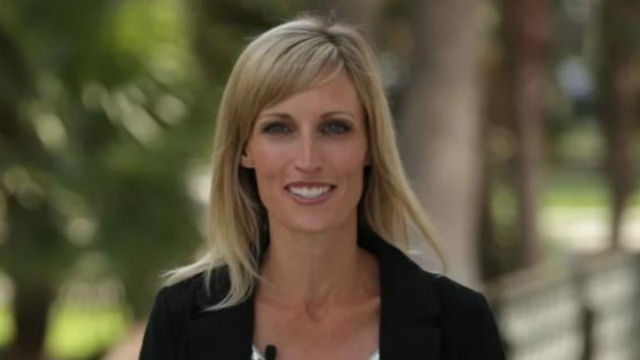 San Diego County is planning to build a residential rehabilitation center aimed at helping former criminals and recovering addicts become self-sufficient, Board of Supervisors Chairwoman Kristin Gaspar announced Tuesday evening during her “State of the County” address. The county has secured two $1 million donations to create a center modeled after The Other Side Academy in Salt Lake City. Gaspar said she was inspired by the concept of self-sufficiency that drove the work at the academy she saw during a recent visit there. Program participants run businesses such as a moving service as part of their treatment rather than seeing therapists or counselors. County staff will soon begin scouting locations for the San Diego program, which is being built in a partnership with Sheriff Bill Gore and the “support” of District Attorney Summer Stefan and Public Defender Randy Mize, Gaspar said. It will be built “and sustained without ongoing taxpayer money,” she said. Gaspar did not offer concrete details on the proposed program during her speech, which centered around the theme of innovation. During the lead-up to the announcement, Gaspar lauded what she said were organizations in San Diego County that embodied values of self-sufficiency and innovation including the San Diego Food Bank, Solutions for Change and Workshops for Warriors. “What do all of these organizations have in common? Their results — the lives transformed by their innovative approach,” Gaspar said. Tuesday’s speech was perhaps the biggest moment in the political career of Gaspar, who earlier this year announced that she’s running for Congress. Gaspar was elected to the Encinitas City Council in 2014. She was elected mayor in 2014 and won a seat on the Board of Supervisors in 2016. After wrapping up her first year on the board in January, she was selected by her colleagues as chairwoman. The Republican announced later that month that she would run for the 49th Congressional District seat currently held by Rep. Darrell Issa, who is not seeking reelection. Gaspar recalled the story of Mildred Green, who about 100 years ago began performing the duties of her San Diego county supervisor husband after he fell ill.
Green ran for that seat in 1918 after her husband died. She won the election, Gaspar said, and went on to serve as a model for innovative thinking that inspires Gaspar. “This is the road that Mildred Green began when she defied odds and ran for county supervisor,” Gaspar said. “This is our future as we move government beyond the status quo so that 2018 is greater than 1918 could have ever imagined.